Three teenage girls have been charged with animal cruelty after posting a Snapchat video of them throwing a rabbit against a wall. The rabbit suffered a fractured leg and other minor injuries during the horribly cruel attack in Nassau County, Florida, reports the NY Daily News. The video, originally shared on Snapchat – with the banner ‘She threw her bunny’ – appears to show one of the girls hurling the animal across the room and slamming it into a wall – at least three times. A spokesperson from the Nassau County Sheriff’s office said the girls – aged between 13 and 14 – would be turned over to the Duval Juvenile Detention Centre. The rabbit was taken to Nassau County Animal Services (NCAS) for treatment and concerned animal lovers have even offered to adopt the bunny after the clinic posted about its recovery on their Facebook page. The Bunny is safe and sound. 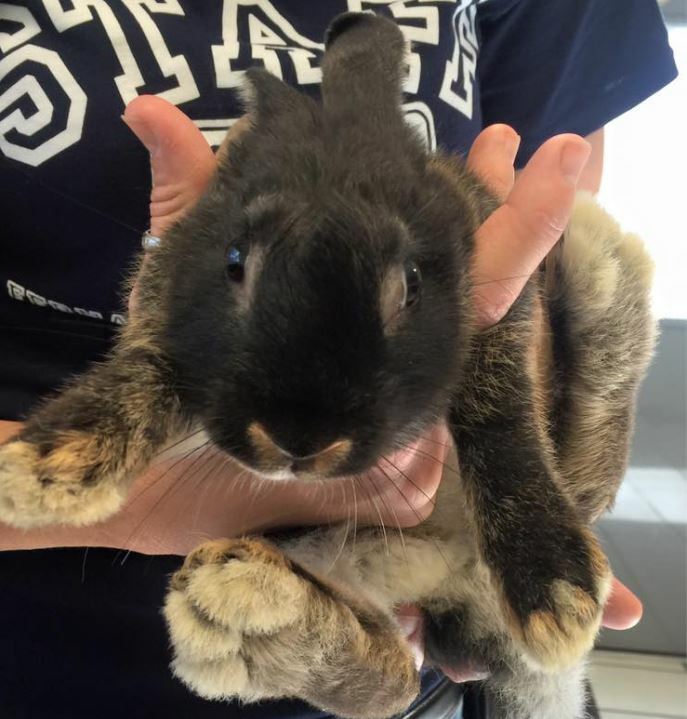 X-rays have shown a leg fracture so this bunny won’t be available for adoption for a while. The Bunny will be receiving additional vet care until fully healed. The bunny is safe and sound. X-rays have shown a leg fracture so it won’t be available for adoption for a while. The bunny will be receiving additional vet care until fully healed. Let’s hope the girls get dealt with appropriately and that the poor rabbit finds a home with someone who will treat it properly.